Catelynn and Tyler are expecting their second child this winter, but before they were pregnant again they were traveling the world telling their story of placing their first daughter up for adoption. 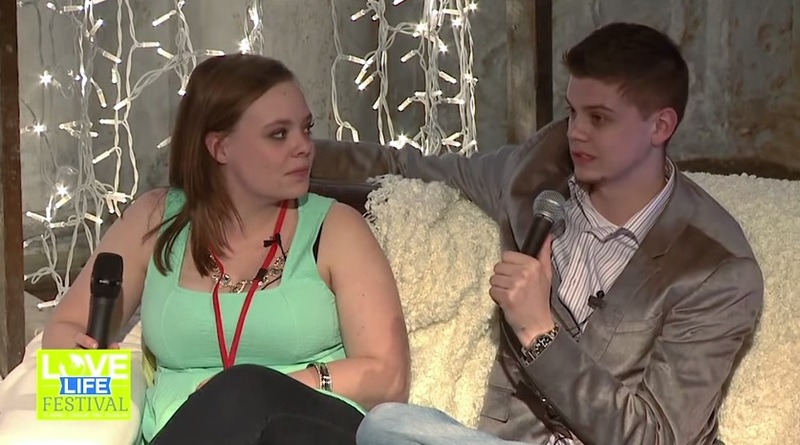 Dublin, Ireland welcomed Cate and Ty to tell their story during the Love Festival. Catelynn opened up about finding out she was pregnant and how she briefly considered abortion before deciding on adoption. Tyler goes on to explain that he did a lot of research about abortion and the procedures at each trimester and learned a lot about it. This helped the couple cancel out abortion as an option so they could later agree that adoption was the right option for them. If you’d like to watch the interview you can do that below. Skip to 1:25 for Catelynn and Tyler’s portion of the video. Previous Previous post: PHOTO: Jeremy Calvert Living in a New Mobile Home? Next Next post: ‘Teen Mom 3’ Star Briana Dejesus Pregnant Again?